Cover your work surface with tissue paper or newspaper. 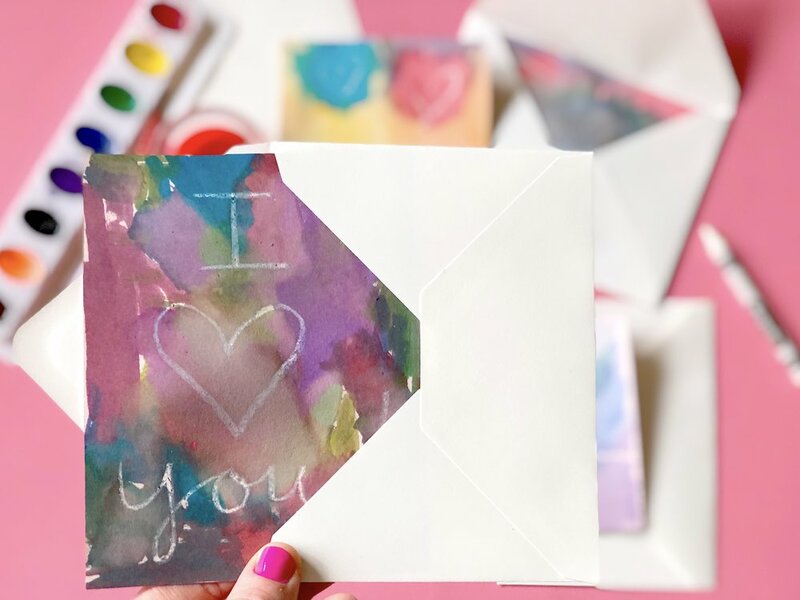 With your white crayon, draw a Valentine’s Day scene on one of your cards. Get creative! Paint over the scene with your watercolor paints. Notice what happens to the crayon. 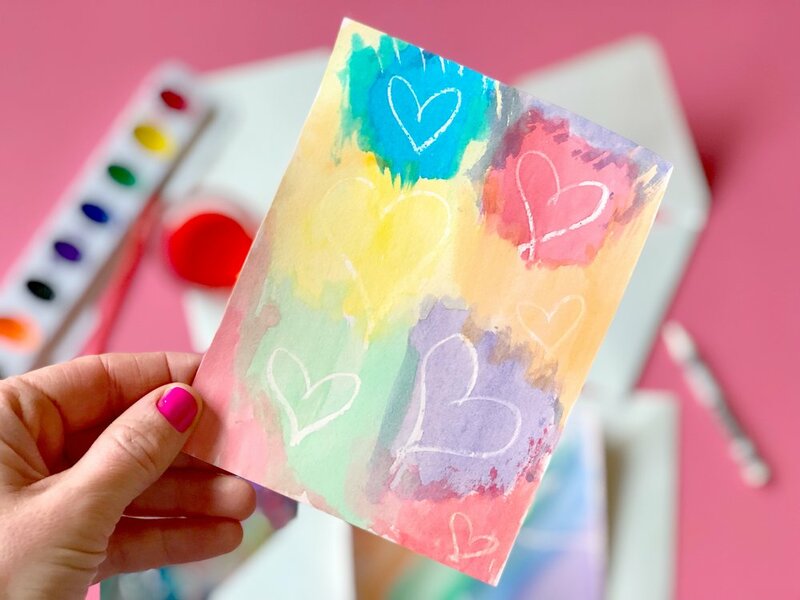 Repeat steps with the rest of your cards, drawing with both the crayon and the candle. Set aside to dry. Address the envelopes to your friends and family. 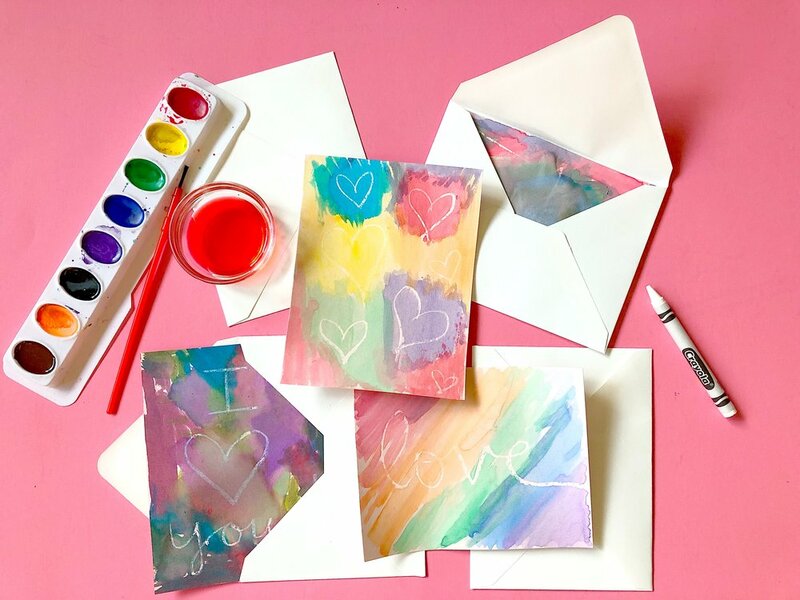 Place one card in each envelope and deliver your valentines. TIP: Using too much water can distort your paper and make your wax design less sharp. Once your cards are dry, if necessary, place them beneath a heavy book to flatten them. Water clings to paper and makes the paper wet, but it doesn’t cling to wax—the wax protects the paper. How do the candle drawings look differently than the crayon drawings?